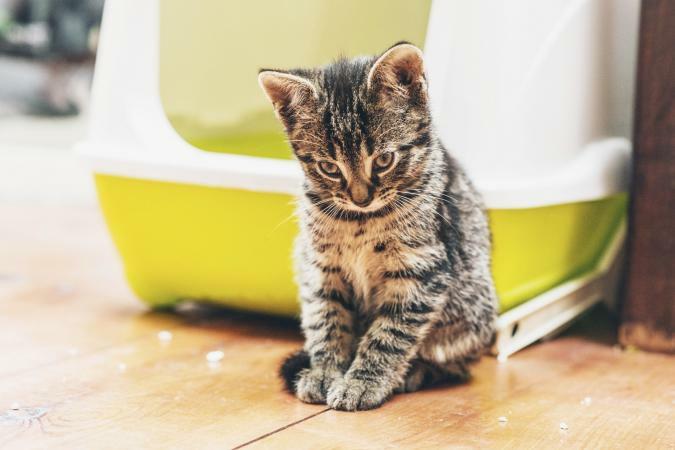 Urinating outside the box is a somewhat common problem, but one solution is to use litter additives to attract cats to the litter box. There are several products on the market, including these four good options. Not using the box is the chief reason cats end up abandoned outside or at shelters. If you have already gotten rid of any home stressors and your cat has been cleared by a veterinarian for any health issues, you may be able to help attract your cat back to using his litter box with a litter additive. Sprinkling a cat litter additive in your cat's litter will attract him by scent with the intent to entice him to start using his litter box again. 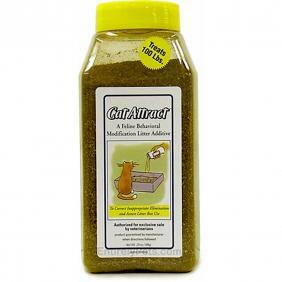 There are a few cat litter additive brands available. Designed by a feline-only veterinarian, this natural herb blend was tested by cats in shelters and Dr. Elsey's clinic over a number of years. Cat Attract has proven to be successful for many reviewers on EntirelyPets, who collectively gave the product an average four out of five stars for attracting their cats back to their litter boxes. Many reviewers noted that if their cat started to go outside the box again, adding more attractant helped their cats get back on track. A few reviews noted it didn't work at all for their cats, so your success may depend on the reason behind your cat's litter box aversion. Bottles can be purchased for about $20 and should last one cat about three months. To use, mix one-fourth of the 20-ounce bottle in 20-25 pounds of fresh, unscented, scoopable litter. When you add more litter to the box, mix in another one-eighth of the bottle. This litter additive attracts cats by using an herbal blend that mimics a garden to pique your kitty's interest. 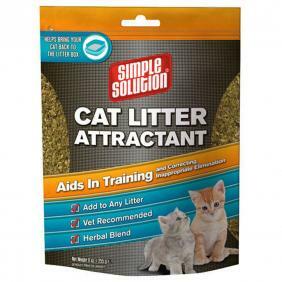 The formula works with any litter and can be used by sprinkling one-fourth of the contents of the package into your cat's litter box and mixing well. You can purchase a nine-ounce package for under $7. This attractant carries a 3.9 star rating on Amazon, and consumers say that the earthy smell attracted their cats back to their litter boxes even after several other similar products failed to work. 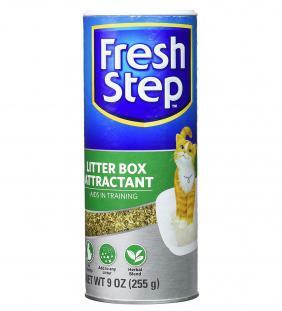 One customer cautioned that his cat stopped using the litter box altogether after adding this product to the litter, so success will depend on your cat's scent preferences. One of the largest cat litter companies, Fresh Step, has come up with an answer to your cat's litter box aversion. Another herbal blend, this formula claims to attract cats back to their litter boxes as well as aiding in training kittens to start using a litter box. You can use this product with any litter. No customer reviews are available for this product. To use, sprinkle a generous amount in your cat's litter and mix well, adding more attractant any time you add litter to the box. You can purchase a nine-ounce bottle for just under $8. Jorvet uses an all-natural, strong scent in their additive to attract cats to the litter box. 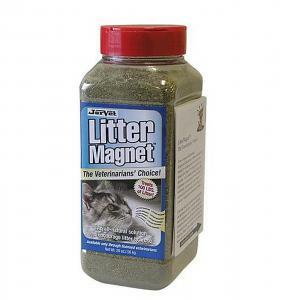 Litter Magnet averages close to four out of five stars on Amazon, with customers saying the earthy texture persuaded their cats to get back to eliminating in their boxes. One review includes a customer who had success after he could not get his cat to stop using an old litter box's location after moving the box. The product did not assist customers whose cats' issues were medical in nature. You can use this attractant with any clumping or scoopable clay litter. A 20-ounce bottle with a shake and pour lid, which will provide coverage for up to 100 pounds of litter, can be purchased for under $11. A client education brochure is provided by the company with every purchase to explain how to use it properly. All is not hopeless when a trip to the vet does not provide answers for why your cat is urinating outside of his litter box. With patience and regular scooping and litter changes, cat attractant litter additives can help solve a frustrating problem for your family.